Marvel Studios President Kevin Feige has discussed what future origin story movies will look like going forward in the Marvel Cinematic Universe. While it doesn't look like Marvel will be entirely getting rid of the "origin story" concept in the future, don't expect every new Marvel hero to start with a whole movie dedicated to their origin. The Marvel Cinematic Universe began with origin stories, with almost every hero receiving a movie dedicated to their superhero origins, from Iron Man to The Incredible Hulk, and Thor to Captain America: The First Avenger. However, some of the more recent origin movies, such as Doctor Strange and Ant-Man, have received some negative responses with people arguing that they are essentially just the same plot being repeated over and over again, just with different characters. Perhaps it is time to let the origin movies die out. Back in 2014, Marvel announced that they were not planning on releasing any more superhero origin movies going forward, claiming that Doctor Strange would be the last origin story in the Marvel Cinematic Universe. However, it looks like Marvel is not keeping to this promise, which may end up being a good thing. Here is what Kevin Feige had to say on the matter. "I don't think there's any overarching philosophy. I think it's case by case. Had [Black] Panther not appeared in [Captain America:] Civil War would we have done a different version of the opening of that movie? Maybe. It is, sometimes, like Doctor Strange, origins can be great, origin stories can be fascinating. If there are, in the future, new stories that require origins... When I talk about a traditional origin structure, it's Superman: The Movie, right? It's following that - or even Iron Man. Taking an hour-plus to see the guy or the girl in the outfit. Sometimes that's the way to do it. Sometimes that's great. And sometimes there are other ways to do it." As for how future Marvel origin movies will be played out in order to make them feel more different, Feige had this to say. "I think it's much less specific to any notion of 'origin,' because, as I just said, sometimes it can be subverted, sometimes you just play it out. That's the better way to do it. The bigger philosophy is, with each film we make, how can we do it in a way we haven't done before? How, whether that's a sequel, whether that's an origin, whether that's a spin off, how can we do a movie that entertains ourselves first, as we develop it and as we produce it, because hopefully that happens then when it's on the screen, it'll entertain the audience as well." 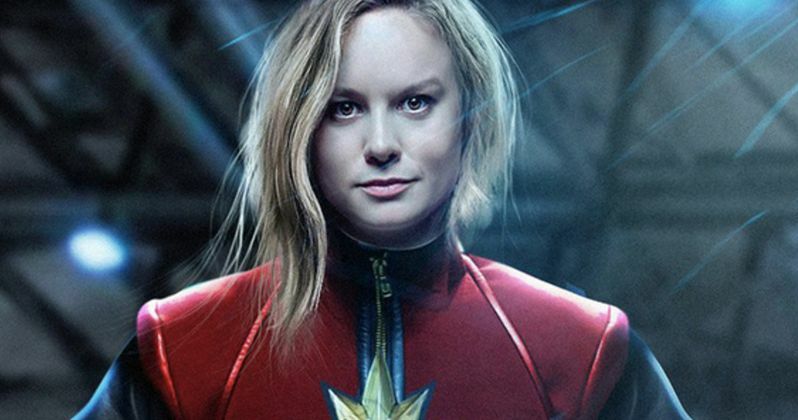 The fact that Marvel is not giving up on origin stories has been seemingly apparent to Marvel fans since they learned the premise of next year's Captain Marvel, which will supposedly tell the origins of Captain Marvel during the 1990s. It's great to know that Marvel is not giving up on origin movies entirely, as superhero origin movies like Wonder Woman proved there can still be unique qualities to a movie about the upbringing of a superhero. Hopefully future Marvel origin movies will be more like Wonder Woman, and less like Iron Man, which a majority of recent Marvel origin movies have seemingly been based on. All in all, Kevin Feige's interview with CinemaBlend only gets us more excited about the future of the Marvel Cinematic Universe. Phase 4 seems to promise more unique origin stories, in addition to other new heroes that will seemingly not need origins. All things considered, it is good to know that Marvel will continue to entertain us for years to come.